Believe it or not, there are days when I want to dress down and just slip into things that are comfy and easy. We spent most of the past couple of weeks visiting some of our favorite spots around Santa Cruz since we are moving back up to the Bay Area in just a few days! On one of those occasions, we had dinner at Aptos St. BBQ and caught the sunset over looking Seacliff State Beach in Aptos. I wore head to toe in Old Navy... a wrap-front top and boyfriend cardigan both in sea salt white and an amazing pair of cropped denim in bouquet pink. Old Navy has really awesome basics and timeless pieces that are essential to my wardrobe. What I love most is that, unlike other stores, it has a wide range of color choices of each style! To complete the look, I slipped into my pale pink ladybugs wedges by Loly in the Sky and a pink barrel satchel with lovely woven details from Handbag Heaven. Ribbon yarn boyfriend cardi in sea salt c/o Old Navy. Rockstar cropped jeans in bouquet c/o Old Navy. 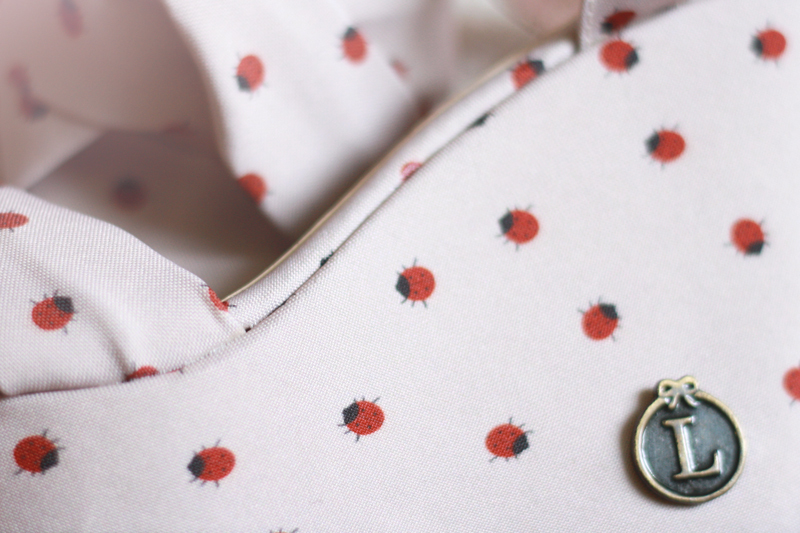 Claire ladybugs wedges c/o Loly in the Sky. Stella woven barrel satchel c/o Handbag Heaven. 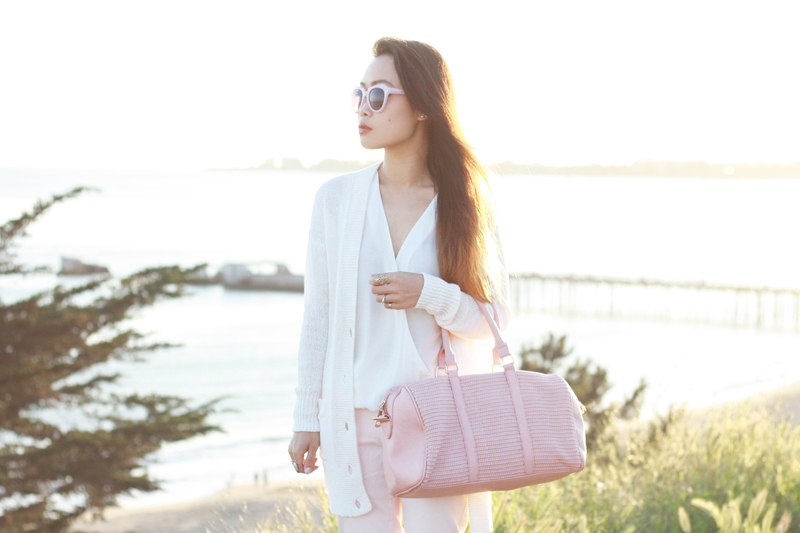 So cute with that baby pink accents! Love it! Lovely colour combination! And I love those wedges! Too cute! really cute outfit. the wedges are supercute!